Fill out the form below, and we’ll send you more information about the Healthcare Systems Engineering, MS program. Deepen your impact on the healthcare industry. As healthcare systems management continues to evolve and grow, so does the demand for innovation at the systemic level. This is a call for the next generation of motivated leaders, progressive thinkers and empowered helpers. With an advanced degree in healthcare systems engineering, you’ll improve patient care while optimizing organizational resources. 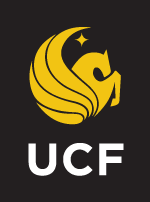 Through UCF Online, you have the opportunity to implement, manage and introduce dynamic changes that will unleash the full potential of a modern, progressive healthcare system. This unique program’s coursework will prepare you to improve the design and implementation of social and ecological systems solutions across the healthcare sector. Within UCF Online’s exciting, experiential learning environment, you’ll learn to use quantitative analysis, systems modeling and computer simulation to mitigate system-wide health risks and develop the infrastructure for a quality healthcare management system. 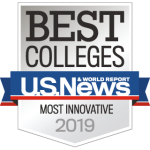 The work you do within your healthcare systems engineering degree will equip you to spearhead cutting-edge change initiatives needed to lead healthcare organizations into the future. Designed for healthcare practitioners, engineers, students and professionals from a variety of other educational backgrounds, you can earn your degree in as little as two years.